PANDORA Love You Lock Charm. 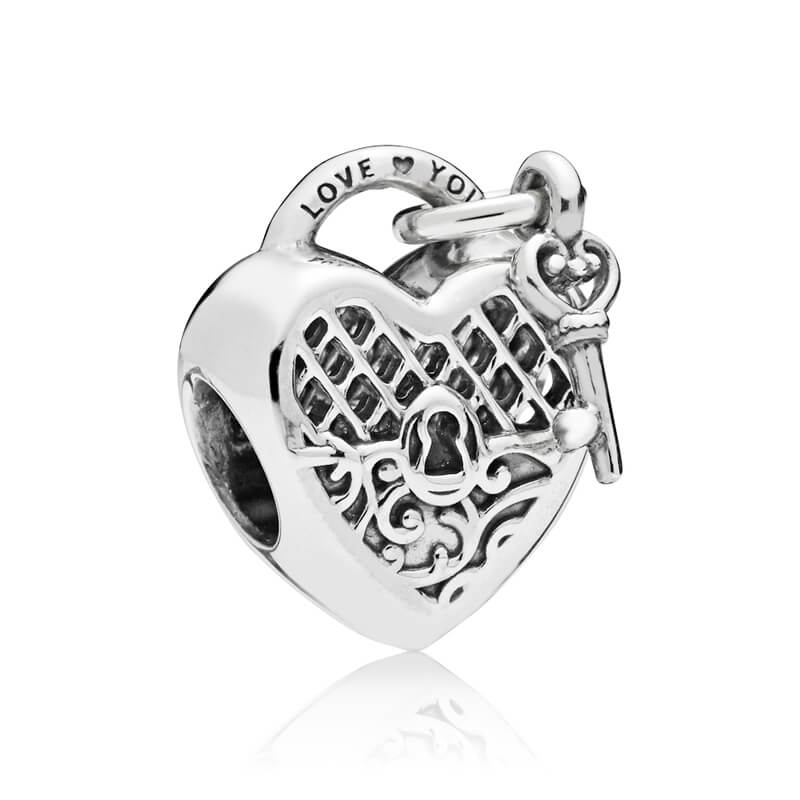 With royal inspiration, this stunning heart love lock charm is beautifully finished in sterling silver and engraved with the sweet message "I love you". The perfect piece to add a touch of romance to any bracelet styling.